PDF: -- 176K -- Provides the document in Portable Document Format. HTML: -- 216K -- Displays the document as a web page. articleEnFa.pdf: -- 176K -- . In this paper we look into what are the requirements and characteristics of manner of existance of Software such that it can be labeled Halaal Software and what are the requirements and characteristics of manner of existance of Internet Application Services such that it can be labeled Halaal Internet Application Services. 22.3 If Not These Policies Then What Policies? We are Iranian Software Engineers. We are neither ethicists, nor philosophers, nor sociologists. Our profession, the Software Engineering profession, has a responsibility to society and to humanity. In order to fulfill that responsibility, our profession needs and requires that the global manner of existence of software meet certain requirements. Software and Internet Services have become an integral and critical component of societal functioning, and the consequences for humanity are enormous. Of fundamental importance in this regard is what we will call the manner of existence of software. In this essay we introduce and define what we will call the Halaal manner of existence of software, and we assert this as the correct manner of existence of software for mankind, now and into the future. We require that society respect and embrace the Halaal manner of existence of software that we describe. If it does not, then our profession will not be able to provide the full beneficial potential of software and Internet services. Worse than this, we will not be able to protect society against the vast harm that can result from the incorrect manner of existence of software. Based on our definitional criteria for Halaal software and Halaal Internet services, we have built a comprehensive set of Halaal Internet services that provide an alternative to the Haraam Internet services that dominate the world today. We seek your support in moving towards consensus on the definitional criteria of Halaal that we present in this essay. We seek your support in rejecting Haraam Internet services, and moving towards widespread usage of Halaal Internet services. This essay is in Globish. It is not in conventional Anglo-American English. See the document titled Introducing Globish into Globish  for a description of Globish. That document also includes references to other specific words and concepts relevant to this essay. The intended audience for this essay is all of humanity. Some of the concepts developed in this essay stand separate from American and Western values. Some of these concepts specifically reject American and Western values. Western readers need to pay extra attention, as many of their assumptions are likely not ours. The primary URL for this document is: http://mohsen.1.banan.byname.net/PLPC/120041. The pdf format is authoritative. Distribution of this document is unrestricted. We encourage you to forward it to others. This document is in its early stages of evolution and we plan to follow up with further updates and enhancements. We can benefit from your feedback. Please let us know your thoughts. You can send us your comments, criticisms and corrections via the URL http://mohsen.1.banan.byname.net/contacthttp://mohsen.1.banan.byname.net/contact, or by email to feedback@ our base domain, which is mohsen.1.banan.byname.net. The software industry and Internet landscape of today has been established based entirely on the Western economic model. One of the purposes of this essay is to place a focus on the moral dimensions of software and Internet services. We are asking a question completely separate from money. We are asking: what is right and what is wrong when it comes to software, society, and the software engineering profession. The concept of halaal does not exist in the Western world. In Anglo-American English, the word halaal is loaded with connotation. More than anything else, it evokes immediate feelings of Islamophobia. Not only is Anglo-American English weak in regard to expression of morality, but the culturally egocentric Americans (and Westerners generally) are allergic to the expression of morality by others. Halaal is a fundamental, deep and broad concept among Muslims which addresses the question of right and wrong about everything and about all aspects of life. The full richness of halaal and haraam are essential for building global consensus about basic issues such as the desired manner of existence of software. Our goal is to address the moral dimensions of software, and for this the concept of halaal is essential. Therefore Globish needs halaal, so that we can all have halaal software. Readers whose culture does not include the concepts of Halaal and Haraam must first understand these concepts. See the document titled Introducing Halaal into Globish based on Moral Philosophy of Abstract Halaal  for a description and formal definition. There is a sister essay to the present essay, written in Persian (Farsi) . The two essays are not translations of one another. Rather the Persian essay is a treatment of the same topic, but written in the context of Islam and Iran. It also presents an initial formulation of national policy, based on Halaal manner of existence of software. Thus far, the development and usage of software has been overwhelmingly dominated by Western values; most particularly, the Western proprietary model for ownership and control of software. But it is important to note that this ownership and control model represents only a Western value, not shared among the rest of the world. Software is a digital construct, and therefore by nature it is a poly-existential . Poly-existentials are multi-possessable and digital constructs are easily transmitable. The natural manner of existence of software is such that it can be possessed by everyone, everywhere. Models which do not recognize that software belongs to everyone, everywhere are unnatural. So, if the manner of existence of software is halaal, then software engineers everywhere can globally collaborate in software development. Software capabilities and usage are not the topic of this essay. By software capabilities, we mean what the software is built to accomplish, for good or ill. Examples of software built for ill might be spying, tracking, invasion of privacy. By software usage, we mean how the software is used, regardless of its intended purpose. Consideration of what constitutes Halaal software based on capabilities and usage is primarily the domain of ethicists. The topic of this essay is software manner of existence. What makes for Halaal or Haraam software manner of existence directly affects and involves the software engineering profession. The software engineering profession has a responsibility to society. It is responsible for providing the full beneficial potential of software, and protecting society against the vast harm that can result from the incorrect manner of existence of software. Here we are using the term “profession” in the way it is understood in the East. The notion of a “profession” in the West consists of training and the acquisition of specialized skills, to perform specialized work, to create monetary income. The responsibility of a profession towards society at large does not factor significantly in this. Western society is mostly, if not totally, economically driven. The Western model of economically driven individuals existing within an industrial context considers only money and self-interest. Such broader concepts as society, profession, responsibility and respect are very weak in the Western model. In the East the word “profession” carries a greater meaning. It includes the Western meaning of a specialized skill set to perform work of value to others. But it also includes an agenda of trust and responsibility. The professional person is entrusted by society to maintain guardianship over an important aspect of life. Based on proper execution of this responsibility, the profession is respected. The primary author of this essay, attests that: for him as an engineer it is only in Iran that he is called “Mr. Engineer Banan.” That has never happened to him in America, Canada, England, France, or anywhere else in his travels throughout the Western world. We are first-generation software and Internet engineers, and as such we have a unique responsibility to maintain the integrity of the Internet on behalf of the public. We stand at a technological inflection point, and what we do today, or do not do, will have a profound effect on the direction and evolution of the Internet for generations to come. In order for the Software Engineering profession to fulfill its responsibility to society, we have certain requirements for the manner of existence of software. For our profession to fulfill its responsibilities, the profession and society at large must respect and embrace the Halaal manner of existence of software. We invite ethicists to participate in this fully, by formalizing the definition and convergence on this manner of existence. As a starting point we propose the following as the definition of the Halaal manner of existence of software. Is copying the software restricted by local law? Is copying the software restricted by other methods? Is use of the software restricted by local law? Is use of the software restricted by other methods? Halaal Criterion 1. Abolishment of any general restrictions on ability to copy the software. Halaal Criterion 2. Unrestricted access by all (software engineers and all other users) to run the software, for any purpose. Halaal Criterion 3. Unrestricted access by all software engineers to examine the software, study how it works, and change it. Access to the complete primary source code is a requisite for this. Halaal Criterion 1 demands rejection of the Western copyright regime. Halaal Criterion 2 demands rejection of the Western patent regime. The Western so-called Intellectual Property Rights regime is immoral and unethical in its entirety because it is in fundamental conflict with nature. The West has used and continues to use the Intellectual Property Rights regime as an instrument of neocolonialism. By means of coercion and repetition the West has portrayed and continues to portray the Western Intellectual Property Rights regime as a universal law. But it is not. Other nations and societies throughout the world are free to define their own laws, based on their own values, and are free to submit to the Intellectual Property Rights regime, or reject it. The Intellectual Property Rights regime is a local law, conceived in the West, and now promulgated as global law. But global laws require global consensus, and in the case of Intellectual Property Rights, this consensus is absent. The idea that a local law originating in a local value system can be applied globally is nonsense. Bits know no border, knowledge knows no border and application of knowledge knows no border. If we are to have a global Internet, we must then reject the Western IPR regime. See the essay titled The Nature of Poly-Existentials: Basis for Abolishment of the Western So-Called Intellectual Property Rights Regime  for an analysis and discrediting of the Intellectual Property Rights regime, based on the inherent nature of what it seeks to control and restrict. For a description of the basis for rejection of the Intellectual Property Rights regime by ethicists, see Iran’s Theological Research on Intellectual Property Rights . Imam Khomeini’s Fatwa in particular is succinct in declaring the fundamental invalidity of Western Copyright and Patent law. Most people today use Microsoft software. Based on the above definition, Microsoft Windows is Haraam Software. This is because it is proprietary and closed source, and thus internally non-transparent. Few people today use GNU/Linux software. Based on the above definition, GNU/Linux is Halaal Software. The Western FOSS Movement has produced the GNU/Linux operating system and has demonstarted the viability of free software as a development model for creating large-scale, complex, relevant software systems. GNU/Linux is a fully viable free software alternative to the proprietary Microsoft Windows operating system, against which it continues to make steady inroads. Mozilla/Firefox is a fully viable alternative to the proprietary Microsoft Internet Explorer, and is also experiencing steadily increasing usage. And apart from such well-known and high-profile projects, behind the scenes the free software movement has become a flourishing creative environment, generating a constant stream of new and better software packages, duplicating and surpassing the capabilities of an ever-increasing portion of proprietary software territory. FOSS is rooted in Western values of liberty and individuality. Free software focuses on the philosophical freedoms it gives to users, whereas open source software focuses on the perceived strengths of its peer-to-peer development model. The defining criteria for free software are as follows. This is reproduced from http://www.gnu.org/philosophy/free-sw.html, current as of July 2011. This definition is consistent with our own definition of Halaal software. So why have we taken the trouble to define Halaal software, when it turns out to be consistent with free software? The reason is that the two definitions are ideologically different. They exist in ideologically different contexts, and this ideological difference is reflected in their phrasing. The term “Free Software” was coined in the early 1980s in America. Their culture and language lacked the word “Halaal”. So “Freedom” as the pinnacle of American values became the key word. The label “Free Software” has proven problematic in many respects. Free in English has two meanings, “gratis” and “liberty”. For the public at large the “gratis” meaning is dominant, so the “Free Software” label never worked well. To address this, the word “Libre” has been introduced into Globish and “Free Software” and “Libre Software” have become synonyms. But, “Libre Software” is also not a good label because it does not focus on the ethical, moral and societal manner of existence of software. The focus of the label needs to be on morality and society. Once “Halaal” is properly introduced into Globish , the label “Halaal Software” will prove more crisp and more on the mark. The free software definition exists in the context of Western copyright law, and implicitly accepts that as a reality. The key to free software is the GPL (General Public License), a form of licensing intended to preserve the four definitional freedoms. 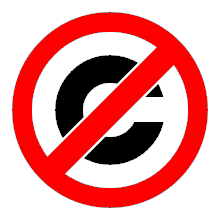 But this is of course a form of copyright, and so the free software definition resides within and submits to the Western copyright conventions. It is centered on the individual (individual freedom), as opposed to being centered on society (ethics and morality). The concepts of profession and society are absent. The definition is based entirely on the individual, and the individual’s freedom. It exists in the context of the Western Copyright and Patent regime. Freedom 2 and freedom 3 are written in response to this, and implicitly accept this as a reality. There is is no explicit assertion that the ability to copy is a natural law and a human right. It does not recognize the Software Engineering profession as a guardian. Freedom 1 makes no distinction between ordinary users (i.e. almost everyone), and software engineering professionals. The implication is that anyone can exercise freedom 1, without need for guardianship by the Software Engineering profession. The Halaal software definition on the other hand makes no concession whatever to Western Intellectual Property Rights. We view the Western Intellectual Property Rights regime as a fundamental misconception, and fundamentally invalid. While operating in countries where Western Intellectual Property Rights regime are law of the land and have deep roots, we subject our own work to the most stringent forms of the General Public License that is available. While operating in countries where Western Intellectual Property Rights regime have not taken root or are not valid (e.g., China, Iran) we also work towards rejection and abolishment of Western Intellectual Property Rights regime and work towards requiring that all software entering the country and used is Halaal Software. The other branch of the Western FOSS movement is Open Source Software. Open Source demands internal transparency and focuses on a colaborative development methodology. The primary difference between Open Source Software and Free Software is the intent for keeping Halaal Software perpetually Halaal Software through Western copyright law. In that respect Halaal Software is more alighned with Free Software. The model of Halaal Software is towards Halaal Software remaining Halaal Software. The Western FOSS movement either does not care much about this (the Open Source branch) or attempts to accomplish that through the Western Copyright law. The desire and intent to keep the software halaal is continuously vioalted by the proprietary model. We call this bastardization of halaal software. Four significant models for bastardizations Of FOSS are mentioned below. Apple’s Mac OS X is a derivative of 4.4BSD-Lite2 and FreeBSD. The FreeBSD Copyright license is very loose and makes no effort towards keeping halaal software, halaal software. As a result what used to be halaal software has evolved into proprietary software. Tivoization is the creation of a system that incorporates software under the terms of a copyleft software license (like the GPL), but uses hardware restrictions to prevent users from running modified versions of the software on that hardware. This is in reference to circumstances such as TiVo’s use of GNU GPL licensed software on the TiVo brand digital video recorders (DVR). In such cases the spirit of halaal software is circumvented by exploiting holes in the underlying copyleft license. So while TiVo has complied with the GPL v2 requirement to release the source code for others to modify, any modified software will not run on TiVo’s hardware. GPL v3 attempts to plug that hole in the context of Wester IPR regime. Note that this form of bastardization leads outside of software as a pure poly-existential and towards viewing the system as a poly-existential – or not. Transformation of Software into Service permits use of software that often is not covered by copyleft licenses. This is usually labeled the "ASP loophole". For example, GPL v2 talks about distribution of software and includes a copyleft clause that triggers when you distribute your code. Much software is now accessed as a service which requires no distribution of code. Large service providers such as Google, use halaal manner-of-existence of software heavily to provide haraam manner-of-existence Internet services. In the arena of internet services, the basic principles of the FOSS movement have been bastardized, where transparent software is used to provide opaque internet services. They use the ASP loophole and as parasites on Free Software, abuse the spirit of halaal software. In the context of Western IPR regime, the Affero General Public License, (AGPL), addresses the problem where by using but not distributing the software, the copyleft provisions are not triggered. In our model, halaal software empowers the entirety of the software engineering profession to collectively develope and to collectively serve humanity. With Google’s Android, adherence to Western FOSS is observed in letter but not in spirit. Google’s mobile platform is a masterful manipulation of open source designed for driving commercial agendas. While profiting from the goodwill sourounding FOSS, the Android model violates the spirit of public collaboration. The Android governance model consists of an elaborate set of control points that allows Google to bundle its own services and control the exact software and hardware make-up on every handset. All this while touting the openness rhetoric. Current relevant code is well controlled and closed. Old code is made open source. And the development process is defined and controlled by Google. We invite our “Free Software” and “Open-Source” brothers and sisters to recognize that the “Halaal Software” model is a more complete model and that the “Halaal Software” label is a better label. The success and widespread usage of the Internet has caused a major shift in the model for software usage. It is now common for software to take the form and be accessed in the form of Internet Services. A rigorous definition of Internet Services includes a number of criteria and dimensions. For the moment we take this as a basic definition: Internet Services consist of software execution accessed through a network. Every software component included in the service must be Halaal software. The software for the entire service must be Halaal software. The entire primary source code for the entire service must be available to all software engineers, so that the entire service can be reproduced. All protocols used by the service must be transparent and unrestricted. The above definition represents a non-proprietary model for Internet services. The existing proprietary regime is the wrong model for provision of Internet services. Wrong in that it allows control of the service by the provider, and exploitation of the user’s data, in a way that is detrimental and unknown to the user. The solution to this is an entirely different model for Internet services, where service ownership is placed squarely in the public domain. We have formulated a radically new, non-proprietary model for delivery of Internet services. We call this the Libre Services model. In the document titled, Libre Services: A non-proprietary model for delivery of Internet services , we describe a roadmap for promoting widespread usage of Halaal services, as an alternative to existing Haraam services. Libre Services are an extension of the principles of free software into the Internet services domain. They are Internet services that can be freely copied and reused by anyone. Any company or organization can reproduce and host any Libre Service, either for its own use, or for commercial or non-commercial delivery to others. The Libre Services model exists in relation to the proprietary Internet services model of AOL, MSN, Yahoo and Google, in an analogous way to how GNU/Linux exists in relation to Microsoft Windows. The Halaal/Libre model represents a negation of the existing proprietary ownership model. Specifically, it represents a complete rejection of patents and restrictive copyright as these apply to Internet services. These are business paradigms, advantageous to commercial interests, but acting against engineering creativity and the broader interests of society. We define an autonomous halaal service as an Internet service associated with a unique owner, that the owner could in principle and at his option take control over and provide for himself. Autonomous services may wish to engage in end-to-end interactions with other autonomous services. Preserving the integrity of such end-to-end interactions between autonomous services is the responsibility of the Software and Internet Engineering professions. Many interactions between autonomous services involve only the two interacting entities, with no other entities or services involved. However, some interactions between Halaal autonomous services require coordination by other Halaal services. Examples would be dating, auctions, classified advertizing, etc., where a non-autonomous service is required to enable participation by multiple autonomous entities. We refer to such enabling non-autonomous services as federated services, and we refer to the association of a federated service plus its subscribing autonomous services as a federation of autonomous services. The Halaal aspects of functionality and usage of federations of autonomous services are primarily the domain of ethicists. The purpose of a federation is to enable end-to-end inter-autonomous relations. Broadly speaking this encompasses two capabilities. The first is to enable the ends to find each other. The second is to enable complex and comprehensive transactions between the ends. The Internet has become a critical global resource, with far-reaching consequences for the welfare of society. But there is something amiss with the existing model for creation and delivery of Internet services. And as a result, there is something gravely amiss with the direction the Internet is presently taking. There is cause for concern. Today the Internet Services industry is a proprietary construct, almost entirely owned and controlled by proprietary commercial interests. Google, Yahoo, MSN, AOL, YouTube, Facebook, MySpace, LinkedIn, and virtually every other Internet service—these are all for-profit proprietary American corporations, with no responsibility to the public welfare. This represents a significant hazard to the broader welfare of society. Under the existing proprietary Internet regime, critical societal freedoms are being seriously compromised by narrow commercial self-interests. Today, the world is largely unaware of this. The public is completely oblivious to the perils of the proprietary Internet model, and happily entrusts its personal data, its privacy, its freedoms and its civil liberties to proprietary business interests. And the people whose responsibility it is to safeguard the public interest—government, and the engineering profession—are asleep at the wheel. Based on the definition of Halaal manner of existence of Internet Services, Facebook is Haraam, Google is Haraam, Yahoo is Haraam, MSN is Haraam, and many others. Some isolated and rudimentary Halaal Informational and Collaborative Services are Halaal Internet Services. For example Savannah can be considered Halaal because of Savane. The grave danger presented by the existing proprietary Internet Services industry is beginning to be understood even by some Westerners. And primitive efforts to address this such as “The Freedom Box” are being initiated. But these efforts remain rooted in the individualistic Western model, and do not have the Halaal manner of existence of Internet Service as a guiding principle. The Halaal/Libre model is not just theory. We have built a set of real, working, demonstrable Libre Services. We call these the By* Federation of Autonomous Libre Services. By* (pronounced “by-star”) is a unified services model, unifying and making consistent a large number of services that currently exist in functional isolation. It is a coherent, integrated family of services, providing the user with a comprehensive, all-encompassing Internet experience. The By* Federation presently includes ByName, ByAlias, ByMemory and BySMB/ForSMB. In the works and coming soon are additional services for individuals (ByFamily, ByNumber), services for personal and business interaction (ByWhere, ByEvent, ByTopic, ByInteraction, ByLookup, ByHookup), and software distribution services (BySource, ByBinary). The best way to redirect the Internet Services industry is by supporting initiatives such as the By* Federation of Autonomous Libre Services. In contrast to the current economically-driven Internet Services model, such initiatives reflect the guardianship role of the Software Engineering profession, and are truly directed towards the best interests and welfare of society. For more information see the document titled, By* Federation of Autonomous Libre Services: The Concept . For this initiative to be viable, it must have an economic and business model that can compete with the existing proprietary services. See the sections below for the Open Business Plan of the By* Federation of Autonomous Libre Services. The economic and business consequences of Halaal software and services are a fundamental shift of business operations from the for-profit, proprietary quadrant into for-profit, non-proprietary quadrant. See the document titled The For-Profit and Non-Proprietary Quadrant  for details. The Halaal/Libre Services deployment model breaks both these traditions. It represents a radical shift of the Internet Services industry from the for-profit, proprietary quadrant, to the for-profit, non-proprietary quadrant. In this space the entire software for an Internet service remains a communal public resource in the trust of the engineering profession, while service deployment is driven forward by the full force of for-profit commercial motivations. The Haraam software model, operating under Western copyright restrictions, includes a highly effective recurring revenue generation model: the proprietary software licensing model. But the Halaal manner of existence of software eliminates all restrictions on the distribution and use of software. Thus the Haraam recurring revenue model is also largely eliminated. Recurring revenues under the Halaal software model are much less than under the Haraam software model. The Halaal manner of existence of software creates a powerful generative development model for Halaal Internet Services. This generative model is absent from Haraam Internet Services. Thus Halaal Internet Services have a major advantage and can compete directly with Haraam Internet Services in terms of development. The basic recurring revenue models for Halaal Internet Service providers are essentially the same as for Haraam Internet Service providers. Thus in terms of revenue generation, Halaal and Haraam services are on an equal footing. The Executive Summary of Neda Communication, Inc’s Open Business Plan , and the full business plan, are available at: http://www.neda.com/StrategicVision/BusinessPlan. Usage of Internet services involves a combination of software and services functionality: there is an interaction between software running locally, and service software running at the remote service site. Close integration between the software and the service is an important factor in terms of service capability. The internal transparency of Halaal software and Halaal services enables unlimited, total integration. This total integration between Halaal Software and Halaal Internet Services creates a Halaal Software-Service continuum, far superior in capability to any possible Haraam Software/Service combination. This essay is part of a bigger picture. Our goals are broader than just defining Halaal Software. We want the world to move towards Halaal Software and Halaal Internet Services. The totality of our work is towards creation of The Halaal/Libre ByStar Digital Ecosystem, as a moral alternative to the proprietary American digital ecosystem. An overview of this is provided in , available on-line at: http://www.bycontent.net/PLPC/180016http://www.bycontent.net/PLPC/180016. If you believe that the concepts of Halaal Software and Halaal Internet Services as we have defined them have merit, we invite you continue to read. In the overview of The Halaal ByStar Digital Ecosystem  we draw a vast picture for putting in place a model and process that can redirect Internet services and safeguard humanity. In that document, we also describe the frameworks that are in place for collaboration and we invite you to participate in this work. The labels of Halaal and Haraam for the right and wrong manner-of-existence of software and Internet services, as we have defined them, are productive only if the society accepts them and requires them. Otherwise, it just becomes an ideological fringe concept as Free Software, Open Source and FOSS have become in the West. In other words, ultimately the halaal manner-of-existence of software and Internet services should become national policies. The natural dynamics that drive Halaal/Libre and the Proprietary tussle lead to a number of tear points. We have analyzed the forces in nature that work against the existing Proprietary American Digital Ecosystem – and those which are in harmoney with the ByStar Halaal Digital Ecosystem – and have identified a number of “tear points”. Our execution is focused on these tear points. Some of these tear points are more applicable to Eastern societies and some are more applicable to Western societies. We present and analyze these tear points in the context of formulation of national policies for Eastern and Western societies. Simply put, it is naive to imagine that there is any hope that Halaal Software can become basis for formulation of national policies in any Western society. Intellectual Property Rights regime is an integral part of Western cultures. Even after it becomes obvious that the Western intellectual property rights regime is corrupt, economic interests will keep it in place. In many ways this parallels the history of Slavery in America. Western societies are primarily economically driven. Halaal and Haraam for anything, generally (if not always) remain fringe concepts. The Proprietary model is fully entrenched. And the course for using the proprietary model for internal and external exploitation is already fully charted. In the West there is track record for where Halaal/Libre software and Internet services fit in Western societies. The advantages of being in harmony with nature has not been sufficient to bring GNU/Linux to the center – other than through economically driven bastardizations of Halaal/Libre software such as Appleization, Tivoization, Androidization, etc. There is one aspect of halaal software and halaal Internet services that is congruent with Western cultures. It is of course “freedom” based. Americans have made a deal. Corporation provide people/consumers gratis service. The consumer in turn provides information about herself to corporations. Privacy has become a currency in the Proprietary American Digital Ecosystem. The American/Western Digital Ecosystem puts the Individual against the Corporation. The Proprietary American Digital Ecosystem is based around the corporation sitting in the center and monitoring and milking the Individual’s privacy. Consider Facebook. And of course the individual has full liberty (“freedom”) to consent to all of this – which she does. Halaal ByStar Digital Ecosystem is based on Autonomous Libre Services. Preserving Individual’s Autonomy is fundamental to design of Halaal ByStar Digital Ecosystem. ByStar Halaal Digital Ecosystem is designed to be End-To-End and not centrally controlled. In the Halaal Software and Halaal Internet services model, the Internet Engineering Profession has the responsibility of protecting the individual and society. Because the profession understands what is at stake and what can be done. Halaal software and halaal Internet services have a much better chance of becoming a basis for formulation of national policies in Eastern societies. Rejection of Western Intellectual Property Rights regime is easier and more beneficial to Eastern societies. Eastern societies are less economically driven and the general concept of halaal and haraam play a more significant role in Eastern societies. Proprietary software and Proprietary Internet services are used by the West as an instrument of exploitation and neo-colonialism against many Eastern societies in economic and political contexts. And whom ever objects to america and the american model is swiftly subjected to american freedom and american democracy through facebook and twiter. Unowned Halaal Software provides an alternative to the Proprietary American software. The collaborative model of Halaal Software permits for collective efforts for replacing American Proprietary Software. We expand on these below. Any halaal software based formulation of national policies in eastern societies demands full rejection of the Western IPR regime. It is much easier for Eastern societies to conclude that the Western IPR regime is morally wrong and that it is being used as an instrument of Western neo-colonialism. Halaal software in general and Halaal ByStar Digital Ecosystem thrives when Western IPR is rejected. In the context of software, as an example, let’s consider the dependence of Arabs and Iranians on American proprietary software. Today if you want to write in Farsi or in Arabic, your main choice is Microsoft’s Haraam Windows environment. And in the business driven (not societal or engineering driven) western model, Perso-Arabic users are always second class citizens because they represent an insignificant market to the likes of American Microsoft and American Google. In other words computing and communication capabilities of Perso-Arabic societies is determined by Americans. Eastern societies recognize this and see how Halaal Software can provide an alternative. For example, what is maintained in http://www.persoarabic.org provides an alternative to the Proprietary Windows environment for Perso-Arabic processing. And provides societal autonomy with respect to software for Perso-Arabic cultures. The halaal model creates an entirely new environment in terms of competition, collaboration, and value chain relationships. Halaal software and Halaal Internet Services are genuine public resources, not owned by anyone, freely available for reuse by anyone. They are created by society, for society. This general proven collaborative model permits for collective efforts for replacing American Proprietary Software which from the perspective of an Eastern society is far more cost effective than the proprietary competitive model. Based on the general analysis of the previous section and identification of the tear-points, we now present the contours of an example of formulation of national policies based on definition of halaal software and halaal Internet services. We take Iran as the example. However, formulation of these policies are equally applicable to any Eastern society (China, Brazil, Indonesia, Cuba, etc.). Our choice of Iran as the example, has several reasons. First, we are Iranian. Second, Iran is very well positioned to consider the bold positions that are required for proper adoption of policies towards becoming a halaal software based society. Having chosen already to challenge Western neo-colonial agenda, Iran can relatively easily conclude that the policies outlined below are in its interest. Expression of national policies based on halaal software and services, spans ethical, legal, societal, economic and technical dimensions. Here we briefly touch on all these dimensions. Acceptance or rejection of merits of Western Intellectual Property Rights Regime, above all, is a moral and ethical question. Not a business or economics question. Over the years, many west-toxicated Iranians have been pushing for mimicking Western Copyright and Patent models. And they have had some success. So, with respect to acceptance or rejection of Western Intellectual Property Rights regime, Iran’s position is quite muddy. Iran is a non-signator to WTO (Western Trade Organization) copyright laws, but crisp full rejection of the concept of Copyright and Patent as was explicitly stated by Imam Khomeini has not been asserted again. Moving towards a society based on halaal manner-of-existence of software requires crisp declarations that fully invalidate western intellectual property rights regime. And, we believe this is in Iranians societies best interest. Much of use of computing and communication in Iran is based around Microsoft Windows. Microsoft Windows is internally opaque. Iranians have no way of knowing what exactly the software that they use is doing. The likes of “Stuxnet” and “Flame” are external pieces of malware that have done Iran harm. But based on what logic, can Iranians have any assurance that the Windows operating system itself has not been rigged to facilitate harm to Iran. Are we to be that naive to assume that the American corporation producing Windows would not be collaborating with those intending to inflect harm to Iran? Then, Windows in its entirety should be considered a potential malware. In fact this is true of any and all software that is not internally transparent and therefore haraam based on definition of manner-of-existence of software that we provided. So, the only reasonable national policy with respect to Microsoft Windows is not to use it at all. What should be the software platform that we use? What should be the software platform that we develop software for? Use of Linux for everything and everywhere is very practical. Based on that, full adoption of the policy of exclusive development and use of halaal software in Iran is quite reasonable. Full adoption of exclusive development and use of halaal software in Iran, goes beyond just that mandate and also requires prohibition of public offers of haraam software and haraam Internet services. Similar to software, we need to demand internal transparency when using Internet Services. Consider use of Smart Phones in Iran. Smart Phones are mostly software. Towards the goals of autonomy, self-reliance and self-sufficiency; it makes good sense for us to require Smart Phones whose software is halaal software. Once Iran has adequate national Halaal Internet Services in place, we need to transition towards blocking Internet services whose manner-of-existence are haraam. Iran is not in this alone. And halaal software in inherently collaborative and cumulative. So, we should gang up with other Eastern societies that adopt halaal software policies. And we should gang up with our Western FOSS brothers and sisters. Validation of these policies requires open debate towards concensus. Once refined, strategies and tactics for execution of these policies need to be addressed. In broad terms, we present our approach here. From a realization perspective, the challenge will likely be adequate assignment of funds and management. Viability of halaal software as a development model for creating large-scale, complex, relevant software systems has been established. GNU/Linux is a fully viable halaal software alternative to the proprietary Microsoft Windows operating system, against which it continues to make steady inroads. And viewing Linux as a universal operating system, spanning embedded devices and handsets, as well as desktops and mainframes is very reasonable. Based on this a unified “Linux Everywhere Strategy” is the obvious strategy for implementation of the policy of “Exclusive Development and Use of Halaal Software In Iran”. And if the public sector was to require the “Linux Everywhere Strategy”, the private sector would naturally follow. To facilitate development of Halaal Software, much halaal software infrastructure needs to be cultivated. There are well established patterns for establishing halaal software infrastructure that can be mimicked. Amongst choices of Linux distributions, at this time Debian Gnu/Linux Distro is the obvious choice. We then need to establish a layer above Debian Gnu/Linux to form a national distro. The Halaal ByStar Digital Ecosystem that we presented has all the necessary attributes – including scalability – to be a starting point for evolutions towards halaal national Internet services. There are many considerations for choice of halaal Persian User-Environments. And it need not be just one user environment. The Halaal Persian Blee (ByStar Libre Emacs Environment) user environment, , for the ByStar Halaal Digital Ecosystem is a particularly convivial software that we prefer. The Linux everywhere strategy and having a National Debian Gnu/Linux Distro enables Iran to assert its own national DNS roots and national DNS root servers. This increases the general security of exposed Internet and the national Intranet as well as. So, as Iranian software engineers, in order for us to fulfill our responsibility towards safeguarding society and humanity, we needed to define halaal manner-of-existence of software and halaal manner-of-existence of Internet services. We have done so. We carefully considered our use of the word “halaal” and provided Introducing Halaal into Globish based on Moral Philosophy of Abstract Halaal  for a description of our use of the word halaal. Based on the definition of Halaal Software and Halaal Internet Services, we then built The Halaal ByStar Digital Ecosystem. We then framed the Halaal ByStar Digital Ecosystem as a starting point for formulation of national policy for software and for Internet services. We have written all of these essays and have developed all the halaal software and halaal Internet services so that in the open others can evaluate merits of the approach that we propose. If you don’t think that what we present is on the right track, then what are the right questions? Is any of this really necessary? Can anything like this have a significant impact? Did we need to frame manner-of-existence of software with the full strength of halaal and haraam? Is the question of the manner-of-existence of software a real societal topic? Is it possible to formulate any national policy with respect to software and Internet services that is not anchored in halaal and haraam manner-of-existence of software? Or, should we just sit back and have economics drive everything and watch the likes of Facebook consume humanity? If you see what is at stake, we hope you will join us. There we also describe the frameworks that are in place for collaboration and we invite you to participate in this work. This document was produced entirely with Halaal Software, and is published using Halaal Internet Services. All tools used to produce and distribute this document conform fully to the definition of Halaal Software and Halaal Internet Application Services as specified in  and . These Halaal software tools collectively represent a deeply integrated environment that is far superior in capability to any Haraam software. We question why so many people continue to use the clumsy and ineffective Microsoft Haraam software when such a vastly superior alternative is available. All By* Services related to this document are hosted at LibreCenter.net, a physical data center built exclusively with Halaal software. All routers, servers and other hardware infrastructure at LibreCenter.net run Halaal Software exclusively. These Halaal Internet Services are comparable in capability to the most high-profile Haraam Internet Services presently available, such as Google or Facebook. The deep integration between Halaal Software and Halaal Internet Services creates a Halaal Software-Service continuum, which is far superior in capability to any Haraam Software/Service combination.
" Mohsen BANAN ". " introducing globish into globish ". Permanent Libre Published Content "120038", Autonomously Self-Published, "July" 2011. http://mohsen.banan.1.byname.net/PLPC/120038. et al. " " Banan. " bystar federation of autonomous libre services the concept ". Permanent Libre Published Content "180015", Autonomously Self-Published, "August" 2011. http://www.by-star.net/PLPC/180015. et al. " " Banan. " bystar libre emacs environment (blee) a user environment for the bystar halaal digital ecosystem ". Permanent Libre Published Content "180004", Autonomously Self-Published, "September" 2012. http://www.persoarabic.org/PLPC/180004. et al. " " Banan. " the by* federation of autonomous libre services an inversion to proprietary internet services model neda communication inc.’s open business plan ". Permanent Libre Published Content "180014", Autonomously Self-Published, "September" 2012. http://www.persoarabic.org/PLPC/180014. et al. " " Banan. " the halaal/libre bystar digital ecosystem a moral alterantive to the proprietary american digital ecosystem ". Permanent Libre Published Content "180016", Autonomously Self-Published, "September" 2012. http://www.persoarabic.org/PLPC/180016. Andrew Hammoude " " Mohsen BANAN. " libre services a non-proprietary model for delivery of internet services ". Permanent Libre Published Content "100101", Autonomously Self-Published, "March" 2006. http://www.freeprotocols.org/PLPC/100101.
" محسن بنان ". " تعريف نرم افزار حلال و تعريف خدمات اينترنتى حلال ". Permanent Libre Published Content "120035", Autonomously Self-Published, "September" 2012. http://mohsen.1.banan.byname.net/PLPC/120035.